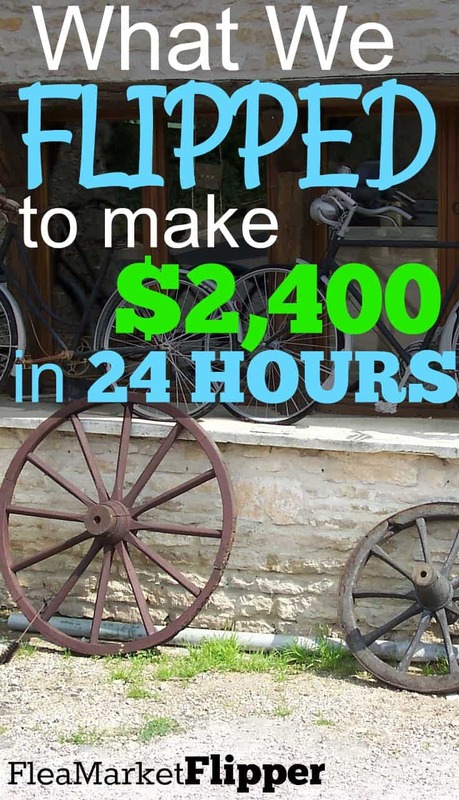 What We Flipped to Make $2,400 in Flipping Sales in 24 Hours! It's no secret that I love flipping items. But I especially love it when there are days like this one when a few flipping sales can equal a couple grand! 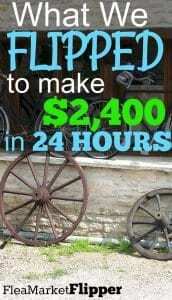 This 24 hours had 3 items that sold, that equaled $2,400! That's a good day! Two of them sold on Facebook Marketplace and one on eBay. We have been cross-posting more of our items lately (we usually try to, but sometimes get lazy about it), and we have been selling a few more things locally — usually using Facebook Marketplace. 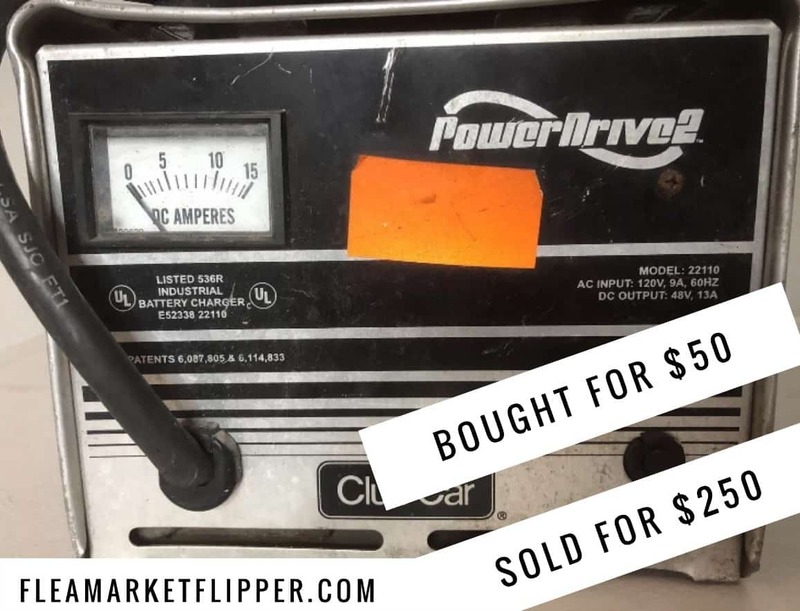 The first item that sold was a golf cart battery charger. If you have been following us for a little while recently, you may have noticed we have sold several of these lately. We bought this on OfferUp for $50, and sold it on eBay for $200. This one sold in about a weeks time and it's not very big so it's easy to ship too! The next item that sold was a paint sprayer. I bought this indirectly from OfferUp. Ha! What I mean by that is I met with a seller on OfferUp to purchase an item from him, and it turned out he had a warehouse of goodies for me to browse. I saw the paint sprayer and asked if it was for sale and he said I could buy it for $50. I had to go home and get my trailer for it because my truck was full, and when I came back he raised the price on me to $100. It was still worth it so I purchased the sprayer. We sold it on Facebook Marketplace for $800. The last item that sold was the big money maker. 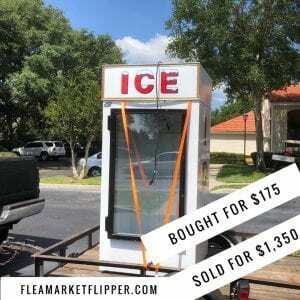 We sold an ice merchandiser. We bought it on OfferUp for $175, and sold it for $1,350! Someone found it locally and wanted it shipped to their business. So it needed to be palleted up and shipped out freight. It didn't take any special equipment besides a dolly and my small trailer. Freight shipping isn't for everyone, but it's also not as hard as most people think it is. Check out this post on 5 Ways to get Started with Freight Shipping if you think it could help your business. If you are just getting started flipping and reselling, don't get intimidated by the larger items we sell. We have gravitated here after 22 years of flipping items. If you are new to the world of flipping, and would like to have some of your own flipping sales, check out our 5-day intro to flipping e-mail course. (This will also add you to our flea market flips and eBay tips updates. You can unsubscribe anytime). And if you are ready to dive in and make a good part-time or full-time income, check out Flipper University to get you there. We would love to hear from you! 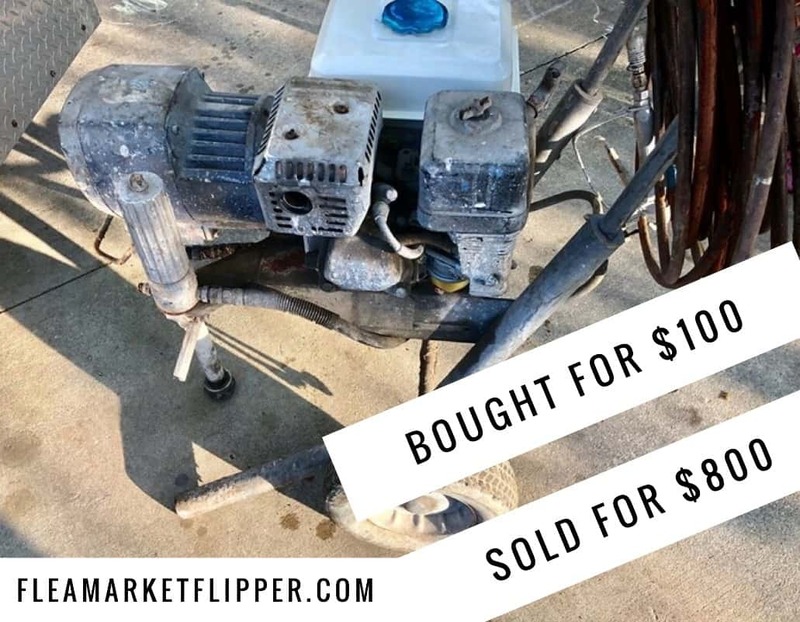 Are you new to flipping or a veteran picker? Comment below! I love your blog I find your articles interesting I wish I could become as great as a buyer and reseller as you hopefully someday I could make buying and reselling into a career. do you ever sell at the flea market? Thanks Brittany! We actually don’t sell at the flea market. we sell on eBay, Facebook Marketplace, OfferUp and Craigslist mostly.